Amazon has introduced its big play for the music streaming market – including a special price tag for Amazon Prime members and owners of the voice-activated Amazon Echo. Amazon Music Unlimited, a standalone on-demand service, is launching in the US for $7.99-a-month or $79-a-year for existing members of Prime – Amazon’s ‘club’ which separately offers free next day delivery and other perks for $99-a-year. Amazon’s intention with this pricing is clear: to not only draw in new streaming music customers, but to tempt away those Prime members currently subscribing to more expensive Spotify or Apple Music accounts. The latest estimates suggest Amazon has more than 60m Prime members worldwide, while its online storefront carries more than 300m registered customer accounts (with associated credit card details). For non-Prime members, Amazon Music Unlimited is available for the industry-standard $9.99-a-month. MBW understands that all three majors have agreed to license the platform. There’s another discount strand to Amazon Music Unlimited, too: owners of the company’s Echo speaker will be able to access the service, locked to the single device, for just $3.99-a-month, with complete access to its full on-demand catalogue. The acclaimed Echo speaker, which recently launched in Europe, is understood to have sold more than 3m units in the US market. A Family subscription plan for Amazon Music Unlimited will be coming later this year, allowing up to six family members simultaneous access to Amazon Music Unlimited for $14.99/month or $149/year. Amazon Music Unlimited also will be available for customers in the U.K., Germany and Austria by the end of 2016. Jeff Bezos, Amazon Founder and CEO (pictured), said: “Amazon Music Unlimited brings real value to the millions of people who are already Prime members, with a choice of subscribing for only $7.99 a month or even $79 per year. “Plus, customers are going to love Amazon Music’s all-new app for iOS, Android, and desktop. “And if you want a sense of the future of voice-controlled music, go ahead and ask Alexa for a free Music Unlimited trial, and play around on your Echo. 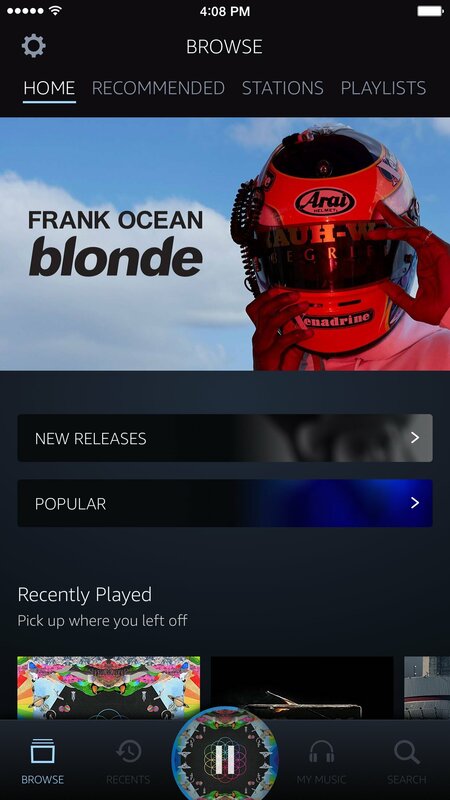 The new service differs to Amazon’s existing music service on Prime, which offers limited interactivity and a significantly smaller catalogue. Since the debut of the Amazon Echo speaker nearly two years ago, music consistently has been one of the most popular activities. The device currently links to Amazon Prime Music and Spotify – though it will be interesting to see how long the latter, now very much a direct rival, is permitted to continue as a partner. Amazon has launched a new editorial music series on Echo called ‘Side-by-Sides’. When customers ask, “Alexa, play Side-by-Side with One Republic”, Ryan Tedder will play and comment on songs from One Republic’s latest album Oh My My. Other artists who have participated include The Chainsmokers, Jason Aldean, Lindsey Stirling, Sting, Norah Jones, One Republic and Kongos.